Companies with large deposits of crypto can now earn passive income in the form of interest by parking their coins with Celsius. Hub is the latest ICO to take advantage of Celsius’ private beta program and is in the first cohort of ICOs trusting Celsius’ platform to earn coins on their coins. Celsius Network, a community-based P2P startup, provides access to borrowing and lending for digital currency holders. Celsius plans to eliminate the need to access expensive lending services from banks and the gray market, and to revolutionize the use of digital assets as collateral by allowing users to easily borrow dollars against their crypto holdings. “Celsius brings unique value to the market and enables blockchain projects such as Hub to monetize idle, digital assets. Since Hub is a project focused on trust, we are delighted to collaborate with a reputable team experienced in the financial services industry. We look forward to putting our cryptocurrency to work in meaningful ways,” said Eric Ly, CEO of Hub, Human Trust Protocol. The Celsius app is already live on both Android and iOS and soon will be rolling out the ability to earn interest on deposits and to get loans in dollars using cryptocurrency as collateral. In the meantime, Celsius will continue offering interest and loans under a private beta to blockchain companies and large crypto holders while its mobile borrowing and lending platform for consumers is due to launch later this year. They are already taking deposits via their app and were recently named the #3 Blockchain Company to Watch for in 2018 by Forbes. 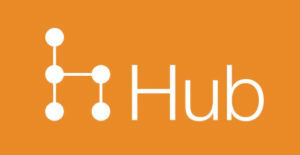 Hub, or Human Trust Protocol, was launched by original CTO and Co-Founder of LinkedIn Eric Ly. The project enables users to develop portable reputation histories on blockchain. Users can stake Hub tokens on interaction outcomes, which are then added to their reputation data for use across platforms and online marketplaces. The Hub team is working on an ICO rating service as a protocol proof-of-concept. The company is currently holding a private sale and counts Greg Badros, former Facebook Engineering VP, and Adi Sideman, CEO of YouNow, as its early supporters. Celsius is a community-based P2P startup which will provide access to borrowing and lending to digital currency holders. Members of the Celsius Network will have access to loans in dollars using their digital currency as collateral. In the future, members will also be able to deposit their cryptocurrency into their Celsius wallet in order to earn interest when their coins are lent out. Celsius plans to bring a new wave of financial products to the digital currency market in order to bring the next 100 million people into blockchain. They will focus on financial products that are designed to work in the best interest of its members instead of trying to make as much profit as possible.